Happy Thanksgiving! The holiday season is definitely here, we got down to a chilling 50 degrees. That's like the Arctics here in Texas, y'all. The holiday season is a hectic time, you're running around seeing family and friends and putting yourself into food coma eating great food. With all that's going on, it can be hard keeping up with your acupuncture practice on social media. What if I told you there's a free tool that lets you schedule all your social media like Facebook, Twitter, etc... and you can just set it and forget it for the holiday season. This is exactly what Buffer does! 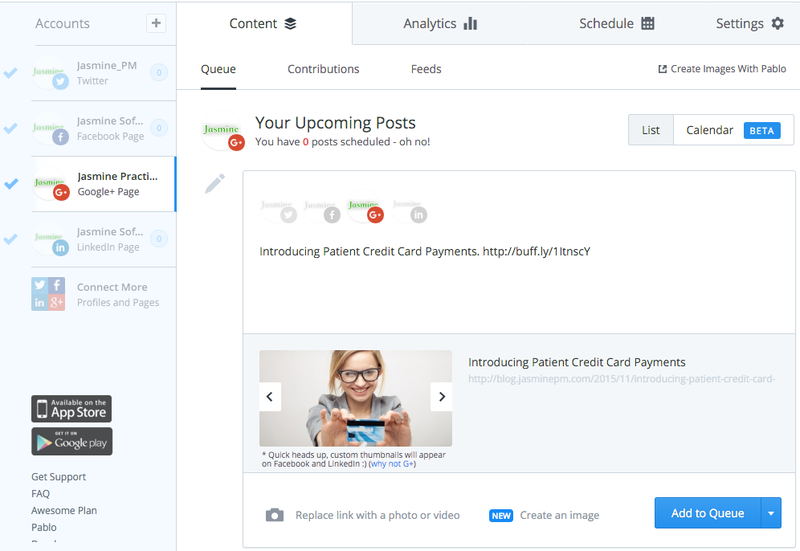 Getting started with Buffer is simple! Just head on over to https://buffer.com. Come on, I'm waiting! 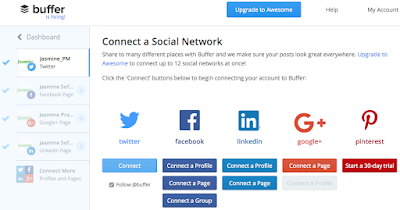 Signing up for Buffer can be done a couple ways, either with a social network or email. Choose one and let's go! Once in Buffer, you can start connecting your Buffer account with your different social networks. On the left menu, click on the "Connect More" menu and start connecting! Now, you'll set up your schedule to tell Buffer when you want your posts to be sent to your social networks. 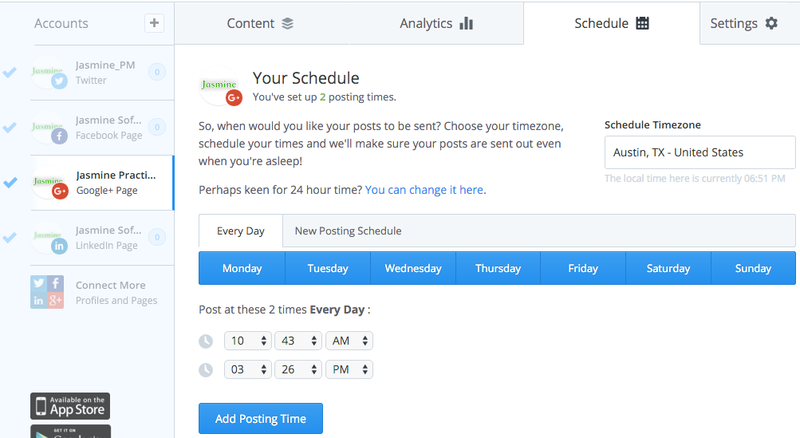 Click on a social network account on the left menu, then click the Schedule tab and start adding posting times. 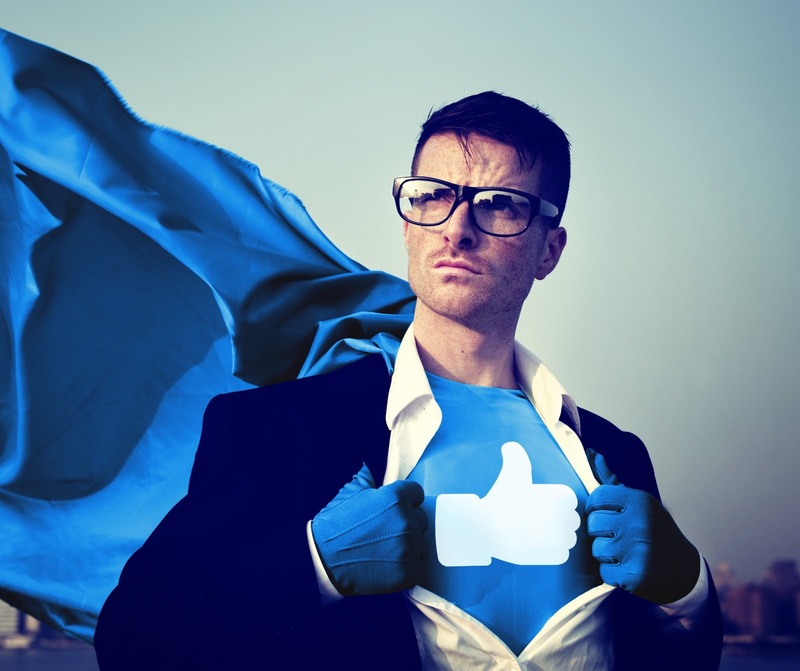 People will be amazed at your social networking skills! 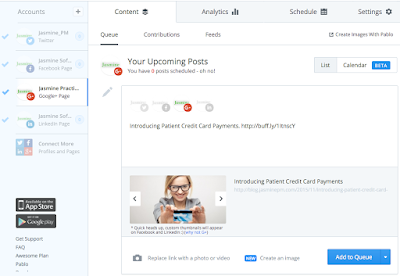 Next, add posts to your queue by clicking on the Content tab, then the Queue sub tab and start posting away. Can it get any easier?! BAM, and you're done! Now go brew yourself a pot of hot Jasmine tea and enjoy your holidays!